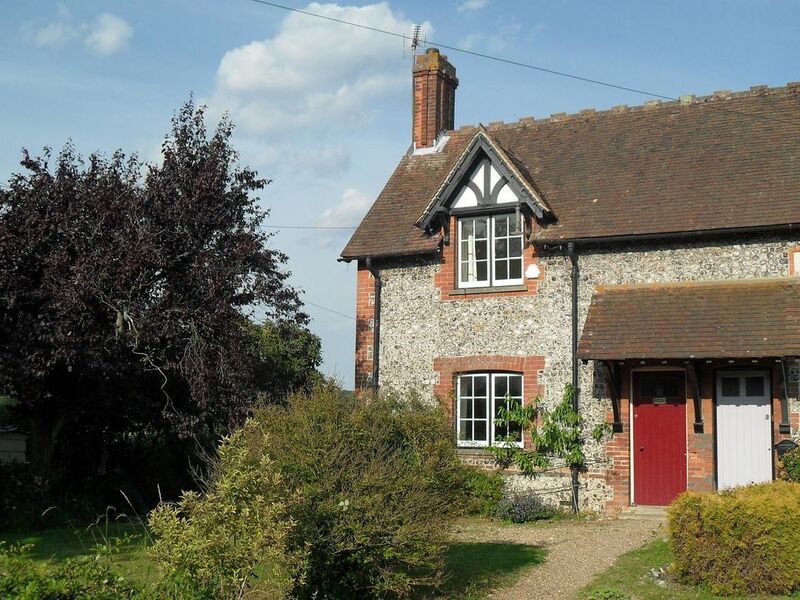 A delightful countryside holiday cottage in the South Downs National Park, close to Worthing, West Sussex. This traditional brick and flint self-catering holiday cottage boasts 3 bedrooms (a double and two singles), a light, airy kitchen and large garden. You will enjoy a short break or longer stay. Your holiday cottage is on the end of a terrace of three cottages originally built in the 1700's and rebuilt in the 1870's. The location is close to the seat of the Duke of Norfolk in Arundel with Worthing, Brighton and Chichester all within easy reach. We are sited close to the centre of the small village of Patching. The area is designated an area of outstanding natural beauty and is within the South Downs National Park. The countryside and walking is on the doorstep and you will enjoy the sea and beaches within about 3 miles. Wireless broadband internet access is available throughout the property at no additional charge. This is a non smoking property. I've lived in the village of Patching for over 20 years and my husband and I have brought up our two children in the village. I love sharing my knowledge of the area with guests. The cottage is a really pretty brick and flint Victorian cottage. We couldn't fail to fall in love with it the first time we saw it. We hope that you will too. It has a wealth of period features, but some up to date things too which make it comfortable. We've lived in the village for over 20 years, so it's a location which is close to my heart. The village is within the South Downs National Park. The local scenery is beautiful and there are good links to many attractions in the surrounding area. Central heating throughout the cottage. Automatic washing machine in the kitchen. A bath sheet and a hand towel is provided for each guest. The living room has an open fireplace. It also has a TV and DVD player and small DVD library. 2 comfortable 2 seater sofas a dining table and four dining chairs. There are also some books and games. We have provided a dishwasher that is easy to use so that you won't waste your holiday working it out. The kitchen is equipped with a reasonably large fridge freezer. The hob is a 5 ringed Smeg gas hob. Double electric oven. The bottom oven is a fan oven and the top oven has an integral grill. We have provided a microwave that is easy to use so that you won't waste your holiday working it out. The toaster is a 4 slot toaster so that all four guests can have toast together. We provide plenty of dishes and utensils so that you won't run out if the dishwasher isn't full, or in case you are entertaining family, or friends for a meal. The kitchen is fully equipped. There is a 5 ringed gas hob, 2 electric ovens, separate microwave, large fridge freezer, dishwasher and automatic washing machine. There is also a large Victorian walk in larder. The dining area is in the living room where a dining table with 4 chairs is provided. There are a few games provided. A small basket of toys is provided. Mainly suitable for younger children. There is a small patio to the rear of the property with a table and 4 chairs. It catches the sun in the morning and early afternoon. A perfect place to have breakfast, or lunch. Notes on accommodation: This is a non smoking property. A maximum of 2 well behaved pets are welcome. Pets are not allowed upstairs in the property. Outside: There are cottage gardens to the front and rear with a vegetable plot at the bottom of the garden. A patio with a table and 4 chairs as well as a BBQ allows for relaxed outdoor dining with uninterrupted views across a field towards the top of the downs. A garden bench in the vegetable plot allows you to make the most of the evening sunshine. Utility Room: The washing machine is in the kitchen, there is a clothes line in the garden and pegs are provided as is an iron and ironing board. There is also a clothes airer which can be used indoors. Cleaning / Towels / Linen / Maid service: All towels and bedlinen are included and changed on a weekly basis for muti week occupancy. Tea towels are also provided for the kitchen. Most charming and hospitable hosts - Sara goes out of her way to ensure that one receives the warmest of welcomes and her cottage is a most agreeable place in which to stay. Very simple and traditional in its furnishing, but all the better for that/ It transports one back to the era and charm of The Railway Children (sans Jenny Agutter, alas) and feels deliciously English in a manner that is all but lost in most comparable houses. Surrounded by rustic beauty but exceedingly close to many of the main attractions of the Sussex coast. A delight in every regard. Visiting our daughter after op. So purely somewhere to lay our heads . We would thoroughly recommend this pretty cottage, especially for dog owners. It was cosy, warm and well equipped, with a very comfy bed and lovely large garden.There were some thoughtful extra touches too, such as dog towels and collars to use with the holiday contact on. The location is great, just a short walk through the village to the South Downs and a very nice 'dog friendly' pub five minutes in the other direction. We were spoilt for choice for things to do during our stay, with Arundel a short drive away and several beaches we could visit. Clean, cosy and fantastic location. Great to stay in an old house not too pristine especially when the weather is wet and clothes and shoes are always damp. Sara made us feel very welcome and gave us all necessary guidance for local walks, food And even a local plant nursery :) . France cottage is set in a vey idyllic location with plenty of walks for us and our dog. We had a lovely short break and would want to come back for more. Worthing with it's beaches, pier and shops is 4 miles. Booking Notes: For booking go through to our web site where there is an on line booking facility. 30% of the holiday total is required as a deposit to secure the booking. The balance together with a security deposit is payable 1 month before the start of your holiday. Changeover Day: In the school summer holidays (end of July, August and beginning of September) change overs are on Fridays. The rest of the year it is flexible. Notes on prices: Low season £385 per week High season £675 per week short breaks and longer stays are available.